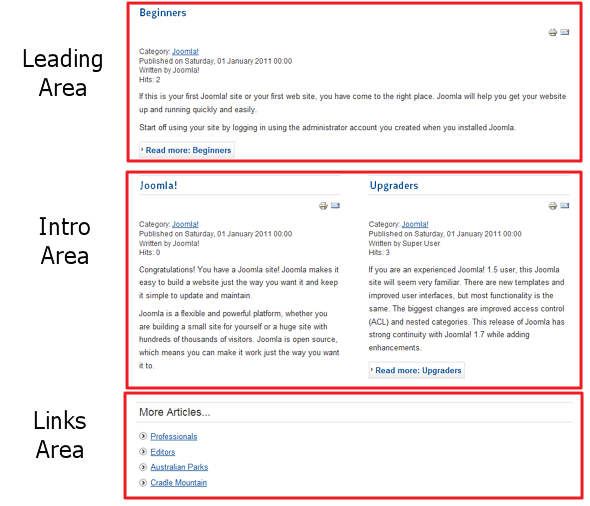 Click the Menu Item Type Select button and then click the Featured Articles link under Articles. Select Categories. 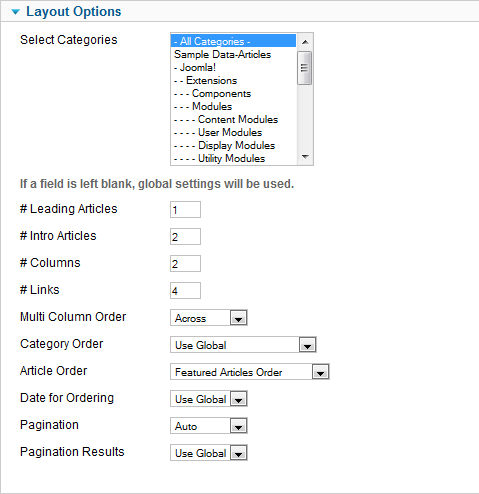 Select the categories you want to include in this layout. 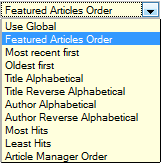 Use Ctrl+Click to select more than one category. 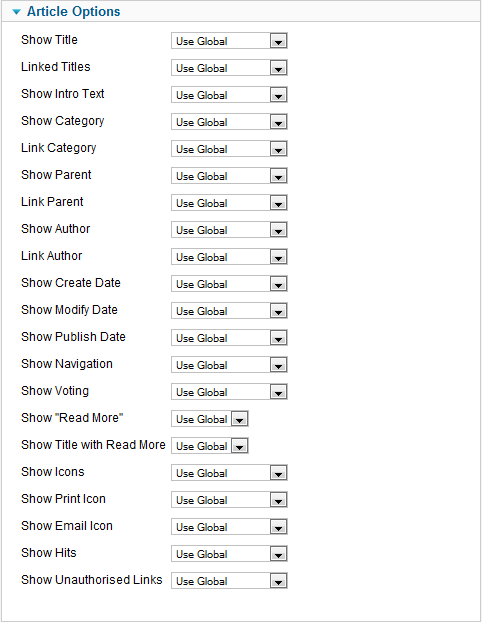 Use Shift+Click to select a range of categories. 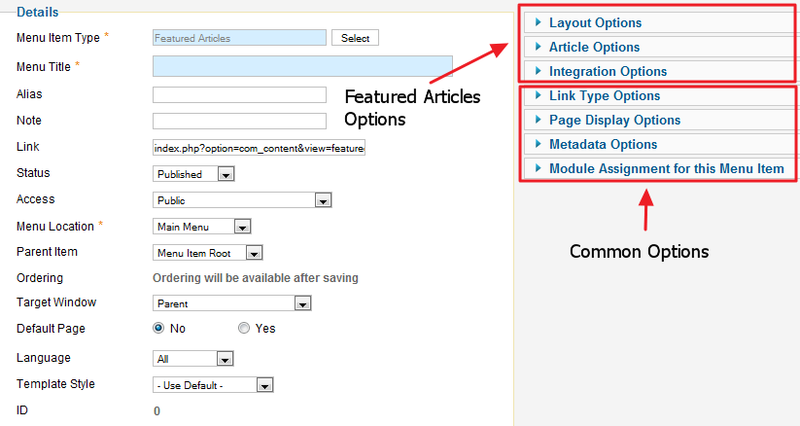 To see an example of the featured layout, install Joomla with the sample data and select the Home page. This page was last modified on 12 February 2013, at 18:19.